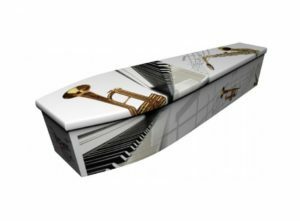 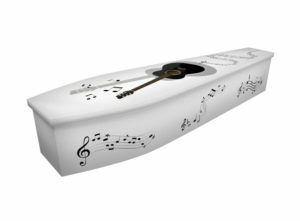 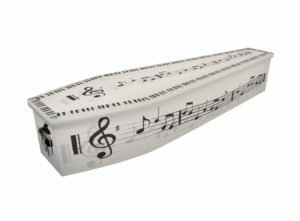 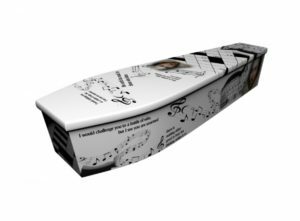 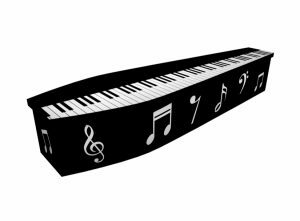 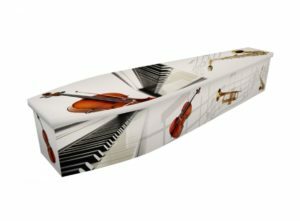 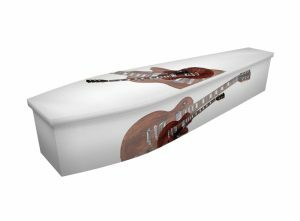 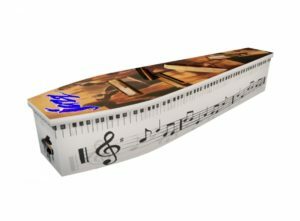 If music was a particular passion for your loved one, then a musical themed design for their coffin could be a thoughtful and memorable option when saying goodbye. You can choose one of the musical designs below, or let our design team come up with a fresh design for the coffin, based on your own ideas. 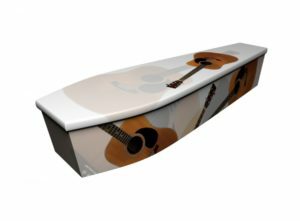 From jazz to rock, classical to dance hall – we are asked to create coffin designs based on all musical genres. 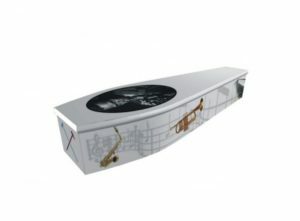 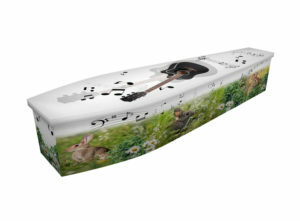 Popular designs include DJ coffins and piano coffins, all printed with vivid, high-grade inks. 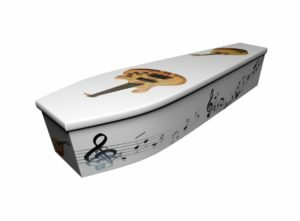 We print designs directly onto the wood of the coffin, rather than using the outdated technique of wrapping printed vinyl around the structure. 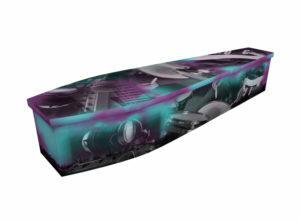 This makes for a higher-quality design and finish. 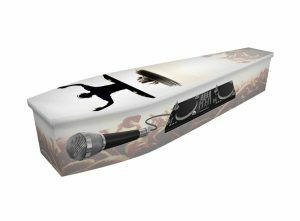 Get in touch with our team today and tell us about the kind of music-themed coffin design you would like, we can help you turn your initial ideas into a beautiful design. We aim to provide you with a visual proof within 24 hours. After any modifications to the design, we can then complete and deliver the coffin within the next 72 hours.